Your gutters’ primary role is to catch the rainwater falling on your roof and direct it to your downspout. The downspout will then dump this water a safe distance away from your home. This is necessary because you don’t want the rain saturating the soil around your home and causing damage to your foundation. Gutters also prevent rain from damaging your landscaping, siding, windows and roof. Damaged or old gutters can cause roof leaks even in a newly installed roofing system. Gutters in poor condition are more likely to clog and overflow. Overflowing water from these gutters can back up into your roofing system and cause leaks. The water can also damage the fascia and soffits. When replacing your gutters, consider getting a professional gutter installation at the same time for best results. We can help you with our seamless gutter installation services. Our seamless gutters don’t clog as much as ordinary gutters because they don’t have any seams. Seams can cause ridges that can lead to water backing up and debris accumulating in your gutters. 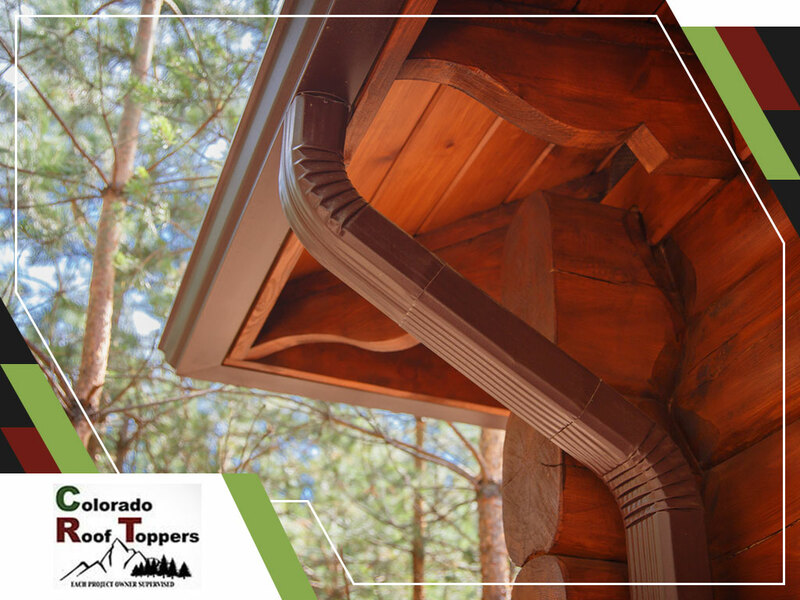 We also manufacture all our seamless gutters according to the measurements of our customers’ homes. This leads to quick and simple installations. Finally, we can make our seamless gutters to match your roof’s style and color for better curb appeal. Our high-quality seamless gutters can protect your home from water damage. You can rely on us for your gutter installation needs because of our A-plus BBB rating and multiple Angie’s List Super Service awards. Call us at (720) 239-1233 or at (970) 237-5009 to learn more or ask for an estimate. We serve Longmont, CO, and nearby areas.